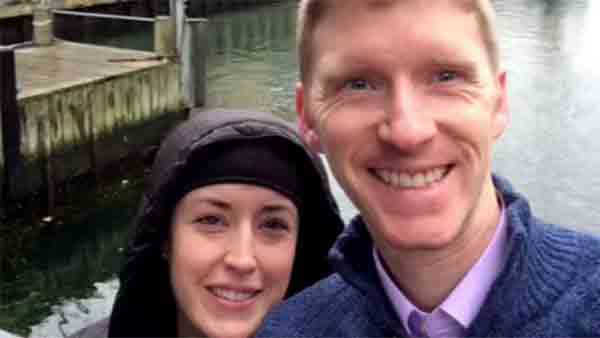 An American couple was identified Saturday among those who were killed in the Brussels terror attacks. The brother of Justin Shults, 30, a Tennessee native, confirmed his death via Twitter. The death of Stephanie Shults, a Kentucky native, was confirmed by her employer, Mars, Incorporated, via Facebook. The husband and wife had not been seen since the attacks happened. "We grieve with his family and continue to offer our support as they mourn this unimaginable loss. Justin has been an integral member of our global finance team since May of 2012 and he has lived with his wife, Stephanie, in Brussels since 2014. He will be remembered by his CLARCOR community as an intelligent, kind and loyal friend and employee. Justin will be greatly missed by those who knew him. We do not have news yet about Justin's wife, Stephanie, and ask that you keep her and her family in your prayers." Justin Shults' brother, Levi Sutton, said the last thing Shults told him was that he loved him. Justin Shults, originally from Gatlinburg, and Stephanie Shults, who is from Lexington, Kentucky, graduated together from Vanderbilt University's Owen Graduate School of Management. They were dropping Stephanie's mother off at the airport, and were watching her walk through security when the bombs went off, a family member said. The Shults' are among the 31 people killed in Tuesday's planned terror attacks, which also left 270 people wounded. Of the 270 wounded, 93 are being treated at a Brussels military hospital. A doctor there said Saturday that 15 people are in a serious burns unit, five of them in intensive care.